Bill Kenwright’s production of the international smash hit musical Blood Brothers announces its 2018 tour and it’s coming to Darlington Hippodrome in February. 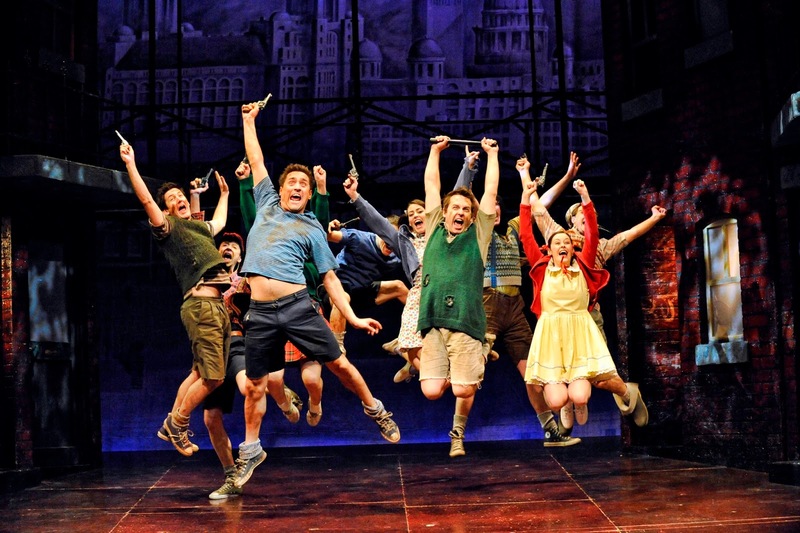 Bill Kenwright’s ‘Dazzling’ (Sunday Telegraph) production of the international smash hit musical Blood Brothers announces its 2018 tour, opening on Tuesday 16 January at the Theatre Royal Bath. This iconic musical has been visiting theatres across the country throughout 2017 in celebration of its 30th anniversary, performing to sell-out houses and receiving standing ovations. Read the North East Theatre Guide review of the tours recent visit to the Sunderland Empire HERE. 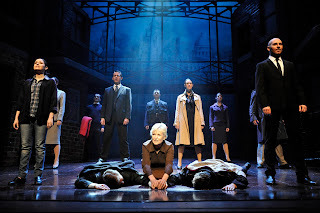 Considered ‘One of the best musicals ever written’ (Sunday Times), Blood Brothers, written by award-winning playwright Willy Russell has triumphed across the globe. 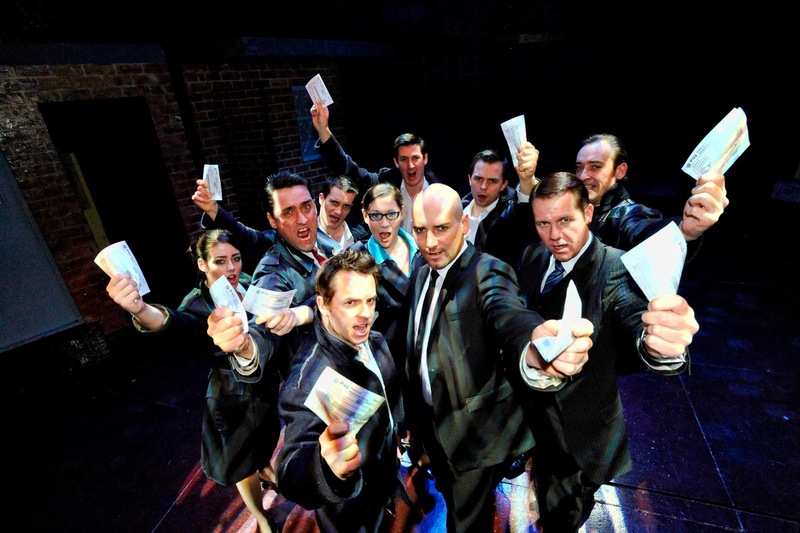 Scooping up no fewer than four awards for best musical in London and seven Tony Award nominations on Broadway, Blood Brothers is simply ‘Unmissable and unbeatable’ (The Spectator). Critically acclaimed actress and singer Lyn Paul returns to the seminal role of Mrs Johnstone, following her first performance back in 1997. Hailed as ‘The definitive Mrs Johnstone’ (Manchester Evening News), Lyn has played the role on numerous UK tours and also starred as Mrs Johnstone in the final West End performances at the Phoenix Theatre in 2012. Lyn first rose to fame in the early 1970s as a member of the New Seekers. She was the featured vocalist on their 1972 Eurovision Song Contest entry, ‘Beg, Steal or Borrow’, in which they came second and lead vocalist on the 1974 number-one hit ‘You Won’t Find Another Fool Like Me’. Among the group’s other works, they recorded the song ‘I’d Like to Teach the World to Sing’, adapted from an advertising jingle for Coca-Cola, which sold over 20 million copies and still remains one of the 100 best-selling singles in the UK. She has also starred in the UK tour of Cabaret in 2013 as Fraulein Schneider, in Boy George’s musical Taboo and in Footloose - the Musical. This epic tale of Liverpool life started as a play, performed at a Liverpool comprehensive school in 1981 before opening at the Liverpool Playhouse 35 years ago in 1983, completing sell out seasons in the US, Australia, Canada, New Zealand and Japan. 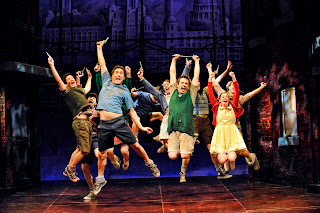 Blood Brothers also ran in London’s West End for 24 years, exceeding 10,000 performances, one of only three musicals ever to achieve that milestone. Blood Brothers tells the captivating and moving story of twin boys separated at birth, only to be reunited by a twist of fate and a mother’s haunting secret. The memorable score includes A Bright New Day, Marilyn Monroe and the emotionally charged hit Tell Me It’s Not True. When Mrs Johnstone, a young mother, is deserted by her husband and left to her own devices to provide for seven hungry children she takes a job as a housekeeper in order to make ends meet. It is not long before her brittle world crashes around her when she discovers herself to be pregnant yet again – this time with twins! In a moment of weakness and desperation, she enters a secret pact with her employer which leads inexorably to the show’s shattering climax. A sensational cast, incredible show stopping music, remarkable staging and five star performances make Blood Brothers an enthralling night of entertainment. Willy Russell is undeniably one of this country’s leading contemporary dramatists. His countless credits include Educating Rita and Shirley Valentine. Educating Rita, originally commissioned by the Royal Shakespeare Company, enjoyed a two year run in the West End and was made into a movie starring Michael Caine and Julie Walters. Shirley Valentine also made the move from stage to screen in an enormously popular film starring Pauline Collins and Tom Conti. Tickets:* from £23.50 (all prices include a £2 restoration levy). For more information or to book contact the box office on 01325 405405 or visit www.darlingtonhippodrome.co.uk.